The Construction Skills Card Scheme card was created to reduce the number and severity of workplace accidents and injuries in the UK’s construction industry. It was determined that having a single, unified system of skill and safety certification would make it easier for employers and managers within the industry to identify and hire HSE-trained, qualified and experienced people, and to encourage anyone interested in a career in construction to seek such training and qualifications on their own. How can I get a CSCS Card? Firstly, consider the card you are applying for and the particular requirements obtaining it. If you do not have any of the above qualifications but have on the job experience (normally at least one year in the last three) you can apply for a temporary Experienced Worker card. How long is the Experienced Worker Card Valid? The card is valid for one year and is non-renewable. It is issued on a temporary basis whilst a Construction Related N/SVQ is being achieved and it is expected to be replaced by a five-year Skilled Worker card upon achievement of the N/SVQ. Proof of registration to the S/NVQ is required before they can apply for this type of card. The Health and Safety Test is a cost of £19.50. This can be booked online at www.citb.co.uk/hsandetest or by calling the test bookings team on 0344 994 4488. Times, dates and venues available for the test will be confirmed at the time of booking. 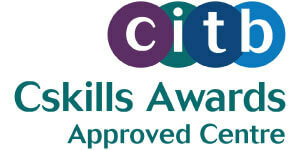 Once the test has been passed the individual can contact the CSCS Helpdesk on 0344 994 4777 to apply. They will need to have a debit/credit card available to make the payment of £30.00. The Customer Co-ordinator will then be able to process and request the card whilst they are on the phone (providing all criteria for the card applied for has been met) and this will be sent out in the next working day’s first class post. To apply for a CSCS card you must have the appropriate construction related qualifications and training and, in most cases, you must pass the CITB Health safety and environment Test within the previous two years. The aim of the test is to examine knowledge across a wide range of topics to improve safety and productivity on site. It is usually taken as a PC-based touch screen test. 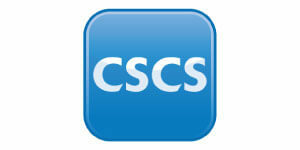 Everyone applying for a CSCS card must pass the appropriate health, safety and environment test. The removal of the CRO card affects over 230,000 CRO card holders. In many cases CRO card holders will be required to register for existing or newly developed qualifications. In others, card holders will be asked to move to one of CSCS’s Partner Card Schemes that are more appropriate for their occupation. For some, where their occupation is not construction related or no suitable qualifications exist, a CSCS card will no longer be issued.